And i decided to remake it with changes made to the game such as gen 3 bst, yugioh card weapons and tier 4 skills. 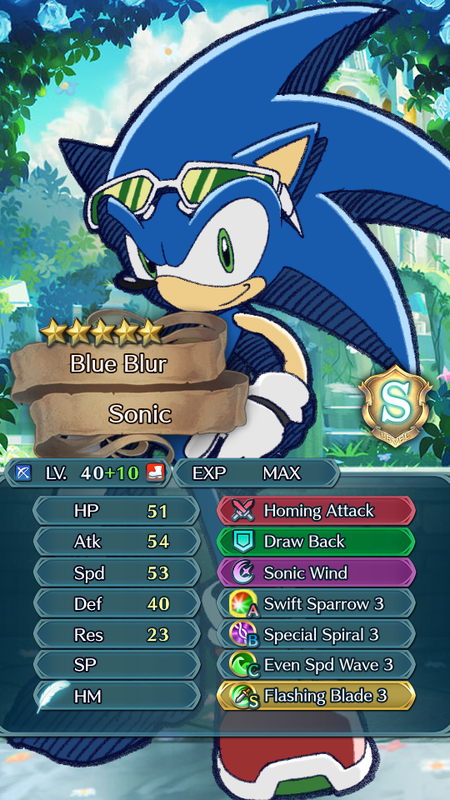 So here we have my interpretation of Sonic in FEH (+spd -hp). Homing Attack: 14mt. Effective against flying foes. Grants Def+3. 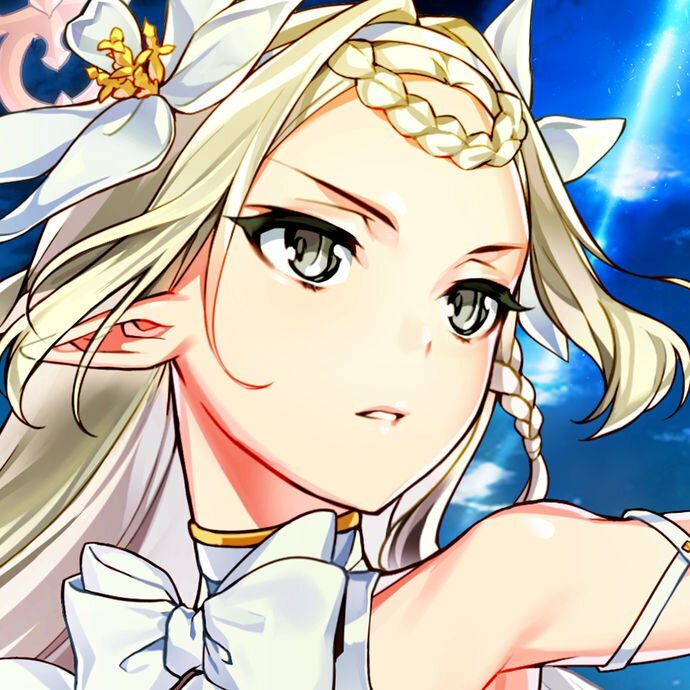 Every time unit initiates combat, boosts damage by 20% of first attack’s damage. (Maximum chain of 5. Resets afterward.) If foe initiates combat during chain, unit’s current attack deals 20% less damage and chain gets reset. Sonic Wind: Before combat this unit initiates, foes in a wide area around target take damage equal to (unit’s chain bonus plus 30% of unit’s Spd) Disables skills that change attack priority. 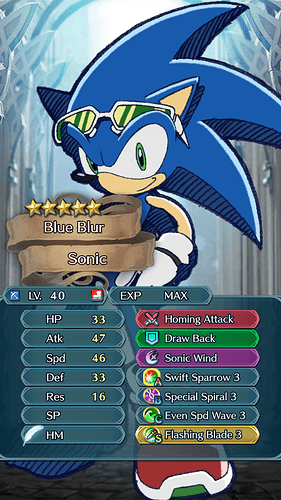 Swift Sparrow 3: If unit initiates combat, grants Atk/Spd+6 during combat. Wow, Homing Attack is quite a mouthful. Also, what happens when you use Sonic Wind, but Homing Attack isn’t your weapon? Neat. If my username didn’t make it obvious, I’ve been a big Sonic fan for years. I’ve also been trying to do a thing where I translate each Smash ultimate character into FEH. Sonic is one few I have so far. B: Final Ring: Unit can survive any attack with 1 HP. Once per map.